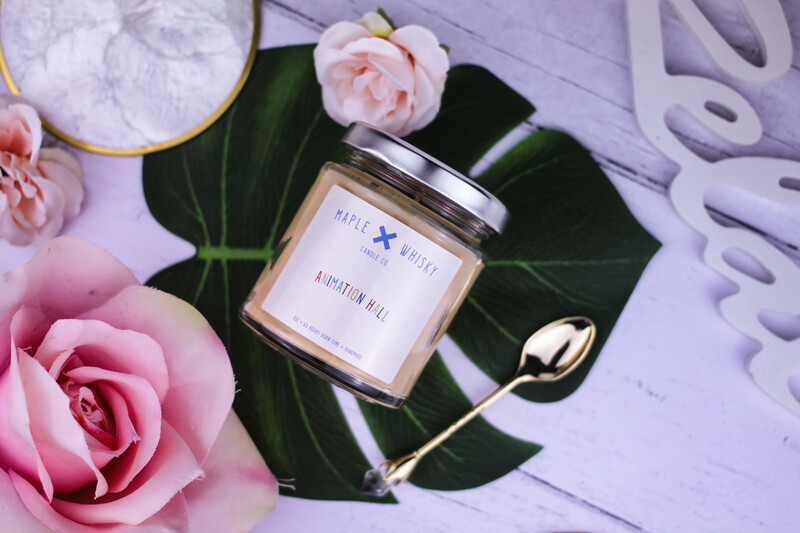 Maple and Whisky Candle Co: A must for Disney lovers! Candles and Disney, two of my favourite things. Combined – it makes a dream come true. For all you Disney lovers out there, this is a post you don’t want to miss! 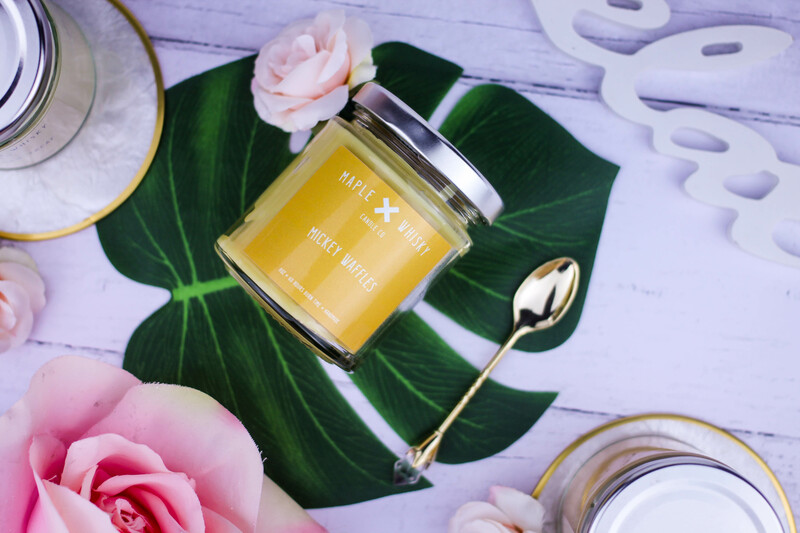 It’s no lie that I have a love for Maple and Whisky Candle Co. Having featured them on my blog before and I often rave about them over on my Instagram stories. 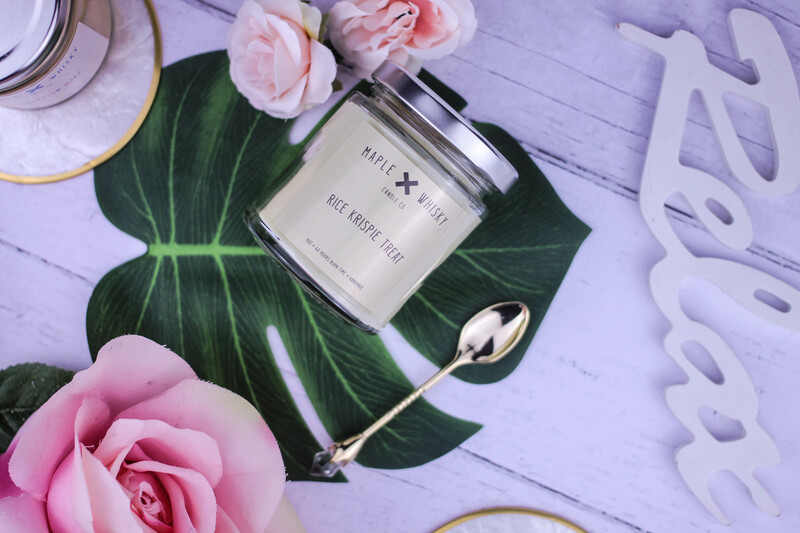 So, when the lovely guys over at Maple and Whisky got in touch to see if I wanted to review some candles, I basically jumped at the chance. If you don’t know who they are, they’re a company based on Etsy. Rice Krispie Treat* is really significant to me. It reminds me of all the bakery spots in Disney (and Universal) and the huge rice krispie cakes they had available. I say cakes, they’re more like bricks to be honest. Mum and I would always buy one to share and spend the next hour or so nibbling away at it in between rides and shows, we’d often feel pretty sick after but it was worth it. With this memory in mind, I knew I had to smell this one, to see if it brought back all that nostalgia and it bloody did. This is definitely a strong scent of sweet marshmallow and baked goodness. Literally, just imagine the smell of a rice krispie bar and that’s basically it in this candle. I love it. The throw that this candle has is really good too, I lit this in the living room and within 30 minutes, the scent was filling the room. 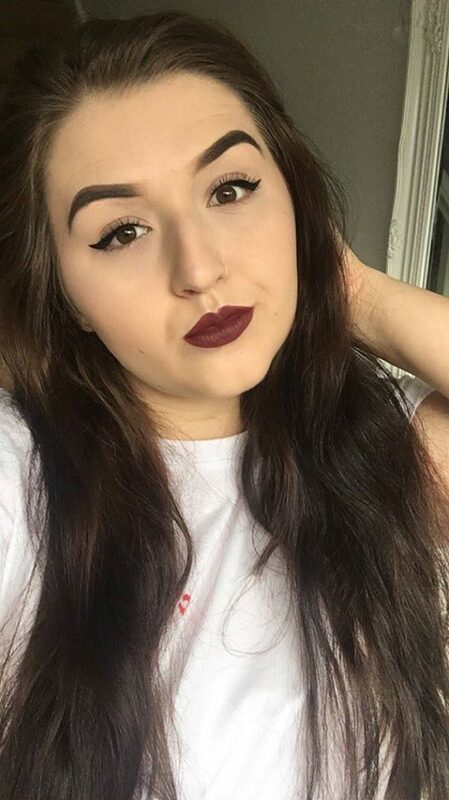 A definite 10/10 for me. Character meals were always a winner for me and so much fun to go to! Mickey Waffles* made me think instantly of the Grand Floridian Resort character breakfasts. They were always so incredible and I would always consume 234534 mickey waffles. Damn, they were yummy, with tonnes of maple syrup on top *drools*. I can’t not think of Mickey Waffles without the characters that were everywhere – from The Mad Hatter, Mary Poppins and even Winnie the Pooh and Tigger. If you’re ever in Disney, a character breakfast is an absolute must! This is one of the perfect kitchen scents because of how homey it is. I do put this on in the bedroom too though because it’s a warming scent alongside the ‘homey’ feel and to be honest, why wouldn’t you want your room to smell like waffles? My mum has been after Mickey Waffles so I’m going to have to watch this one, incase it *mysteriously* goes missing and somehow winds up at my parents! I was quite curious about Animation Hall*. I’ve never actually set foot in the Art of Animation Resort. Last time I visited Florida, we stayed in a villa and the time before that – we stayed in Pop Century and saw the resort being built! So, I don’t actually have a memory or significant attachment to this scent but I thought I’d give it a whirl anyway. Art of Animation is on my bucket list of Disney hotels though, it looks so cool! This is one of the strongest scents in a candle from Maple and Whisky, perhaps too strong for my liking on initial first impressions. It’s has notes of mango and is a tropical, zesty scent but to be honest, all I can smell is the mango. Despite the intensity of the scent, it actually burns really nicely and almost gives you a fresh and fruity vibe so I’ve been burning this in the conservatory. Kayne really likes this one as he’s into tropical and zesty scents which describes Animation Hall to a T. Loads of reviews say that this one matches Art of Animation lobby perfectly so if you’ve stayed there before – treat yo self to this candle! All in all, it’s really no surprise that I’m in love with these candles (again). The guys over at Maple and Whisky have also very kindly given me a code for you all to use. When you spend over £10 on any order with Maple and Whisky, you’ll get 10% off with this code: KATIE10. This code is valid for the rest of this year. 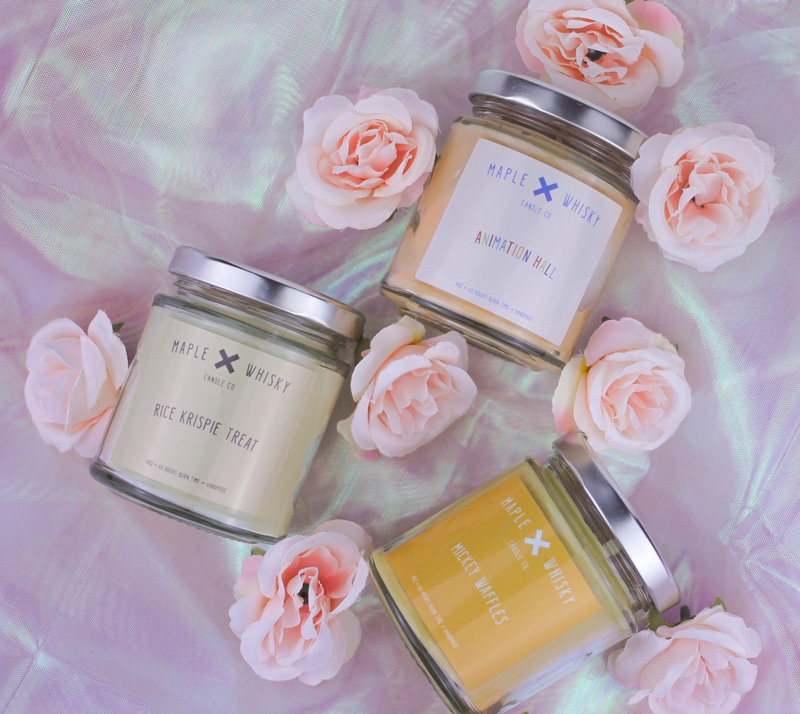 Also, just a heads up – this post isn’t sponsored or anything but I love their candles anyway and for them to approach me asking me to review their candles is like a dream come true in all honesty. Have you ever tried anything from Maple and Whisky? Do you want too? Let me know in the comments below! Make sure you check out my last post – all about pregnancy subscription boxes!